Preheat oven to 325°. Grease baking sheets with butter or non-stick spray. Separate egg white from yolk. Beat egg white with a mixer until it forms hard peaks. In a separate bowl, combine all other ingredients and mix thoroughly. Gently fold egg white into cookie mixture. Drop rounded teaspoons of cookie mixture onto baking sheets. Bake 15-17 minutes until lightly browned around the edges. 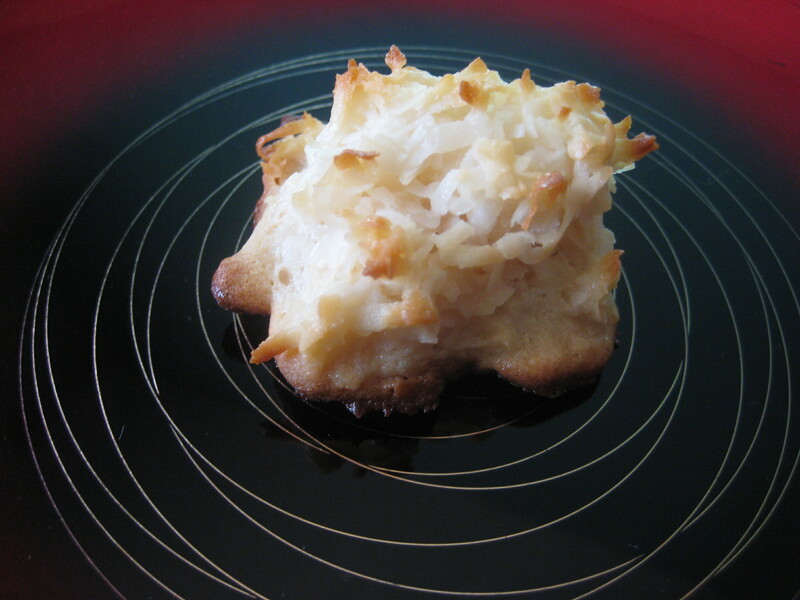 Remove warm macaroons from baking sheet and place them on a wire rack to prevent sticking.